It’s been a Ritzy week here at CandysDirt.com and I’ve got a different story to tell. Having lunch at the Dallas Ritz with Kyle Crews from Allie Beth Urban was the perfect tee-up to my flight to Paris … where the Ritz legend was born. In a way it was also a harbinger. You see, there are four Regency Row townhouses associated with the Dallas Ritz, three of which remain unfinished shells. My arrival in Paris, 9-hours late after four planes and lost luggage, made my first 48-hours rather unfinished in a different way. We’ve all driven by these odd townhomes wondering if they were really homes (they are) and not some elaborate Ritz stage piece masking some hidden purpose like an Oncor substation (they’re not). Now that the McKinney and Olive building, designed by award-winning architect César Pelli, is complete, the Regency Row townhomes have something nifty to look at. It sort of completes the street scene for this block. This happened last week or maybe while I was in Maine. Surely you know we have another wonderful golfer in town besides that adorable Jordan Spieth, right? 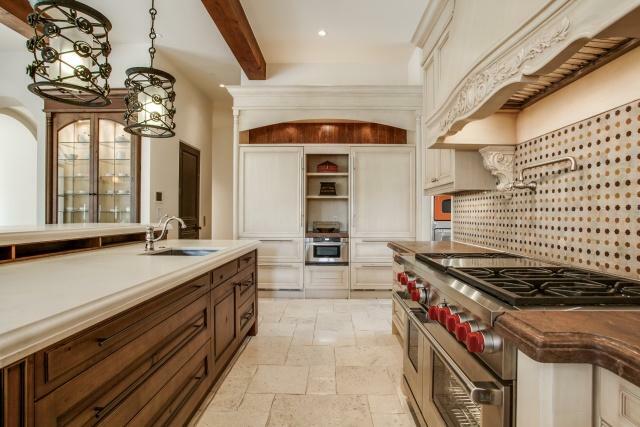 His name is Hunter Mahan and he lives in the chi chi gated Creeks of Preston Hollow at 10719 Bridge Hollow Court. I toured his magnificent 16,000 plus square foot home (10,728 plus 6,126 for 12 car garage) and guest house last May. This is the house with the grill room — brilliant concept! 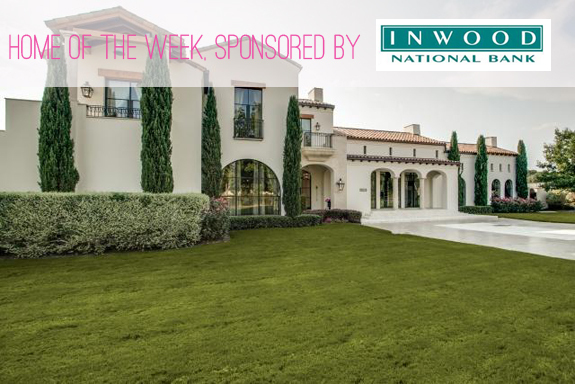 At that time, he had it listed with his builder’s agent, Cameron Holland, of Howell Holland Company, for $9,500,000. 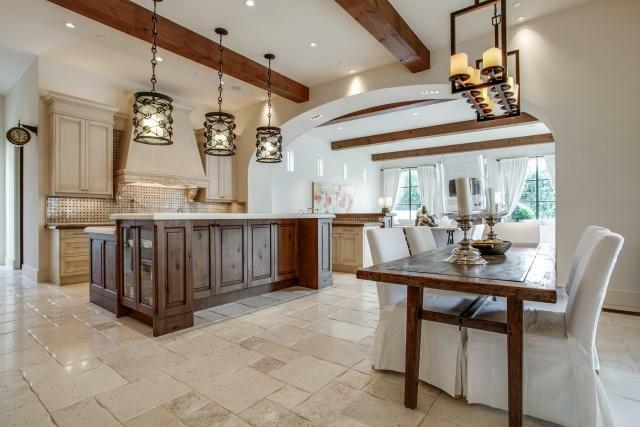 His builder was none other than Mark Molthan, who is also building Tony Romo’s house in Glen Abbey. The Mahan’s listing probably expired in May of 2015. (I cannot believe it has already been one year!) On July 27, Hunter listed it with Erin Mathews at Allie Beth Allman & Associates for slightly less: $8,495,000. Maybe I should say considerably less? 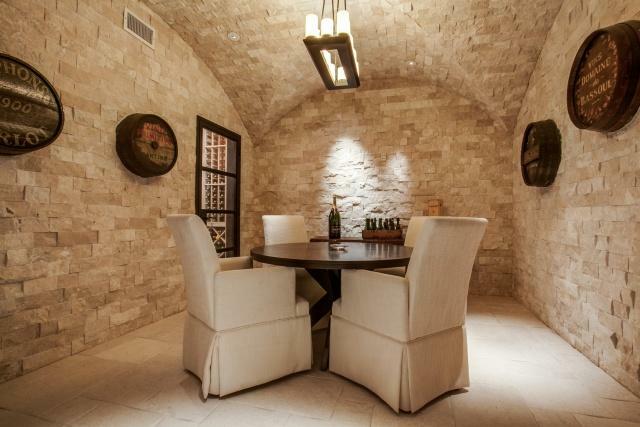 You probably know the story: the golfer fell in love with former Dallas Cowboys Cheerleader, Kandi Mahan of Odessa, Texas, married her and the two hired Mark Molthan to build their dream home in the toney Creeks of Preston Hollow on a $1.7 million lot. It is oh so wonderful! 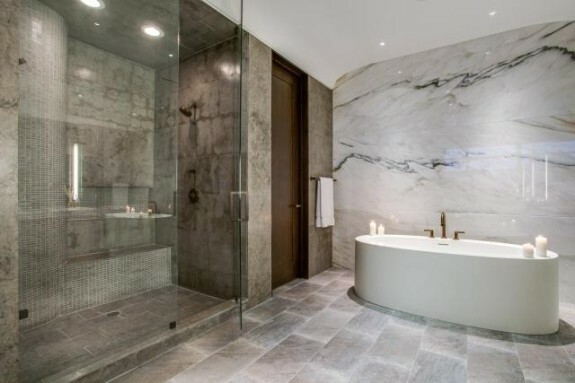 Unit 3104, finished out and built by custom home builder extraordinaire Mark Molthan, is available at $1,675,000. It was the home of the late Kidd Kraddick. This unit was painstakingly crafted out of the original concrete shell by Mark and New York City-based interior designer Laura Kirar. It is listed with Lois Woodward of Virginia Cook Realtors and move-in ready. 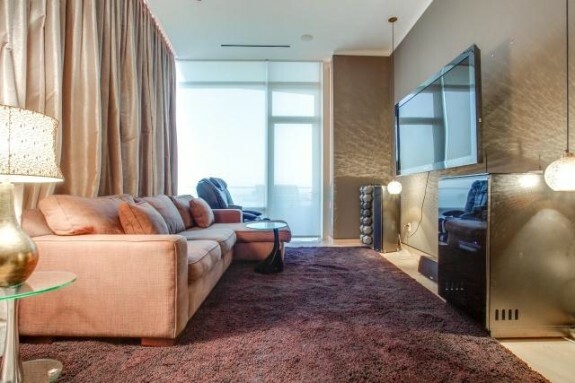 The placement is so perfect, this unit has a virtual 360 degree panorama of the entire city, from the Calitrava Bridge to the central business district. There are two balconies, and the finish out is probably the most unusual in the entire high rise, unless you are up in the Schlegel/Kloewer’s penthouse unit. As Lois says, most of the W units have a very neutral, almost bland theme — not 3104! Check out those limestone hunks on the countertops, and we will go from there! This home in the sky features 3414 (DCAD says 2944, excluding balconies) square feet of space that includes the sprawling formals, a fireplace, the balconies, two ginormous bedrooms, two full baths that will knock your socks off and give you a great soaking tub, and a half bath powder room. The master is 20 by 29 feet — now that’s a retreat! Here’s something you do not see in standard W units — huge, spacious closets. This unit has it all, including two garage spaces, plus all the “Whatever, Whever” amenities of the W including 24 hour concierge service. I was down there the other day, and learned that while residents lost a little power during the ice storm, no one was cold or slipping on any sidewalk ice: the W staff whisked all the slick stuff away before the first resident set foot out the door, where their warmed car was waiting. I could so get used to that. THAT’S service! 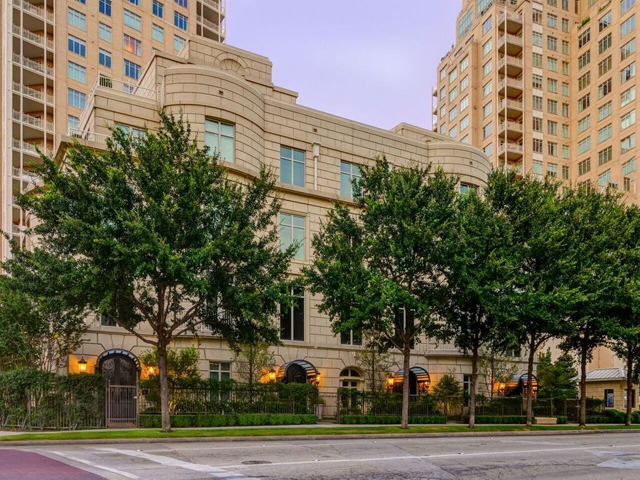 Here’s a little newsflash: Mehrdad Moayedi, the John Paulson of Dallas real estate development, has bought up the remaining lots in the Creeks of Preston Hollow. Where he lives. I probably should use that as a headline sometime, so don’t be surprised if I do. You know Mehrdad — I think he owns more development land in this state than any other developer. 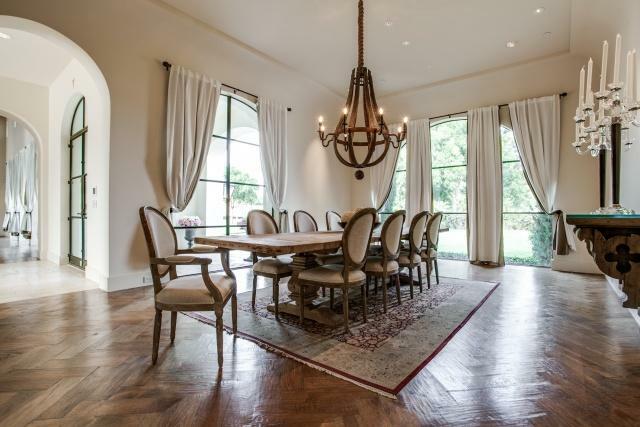 He bought the Stoneleigh out of bankruptcy, and that place is cooking — Don Carter bought a penthouse over there after he sold his Highland Park home. 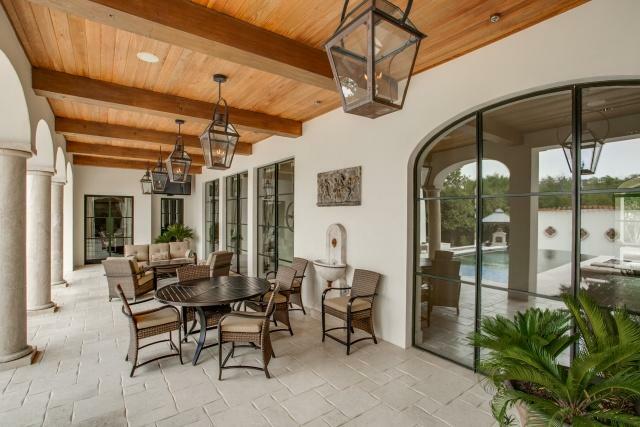 Mehrdad lives in the Creeks, which was developed by Hillwood, and is really the perfect neighborhood for intelligent, tasteful, high net worth people who want privacy and are smart enough to know they need a gated community to get it. You cannot build, say, a Taj Mahal on Royal Lane and then think no one’s going to see it or be curious about it. Anyhow, I present 10731 Bridge Hollow, a masterpiece of construction and design. It was a masterpiece when I toured this home under construction, as I did most of the homes there — Mark Molthan built the Luxe Showcase home on Elm Hollow, Calais built a home or two, has a lot ready to go, Mehrdad’s home, Hunter and Kandi Mahan have another Mark Molthan masterpiece, and that’s about it. 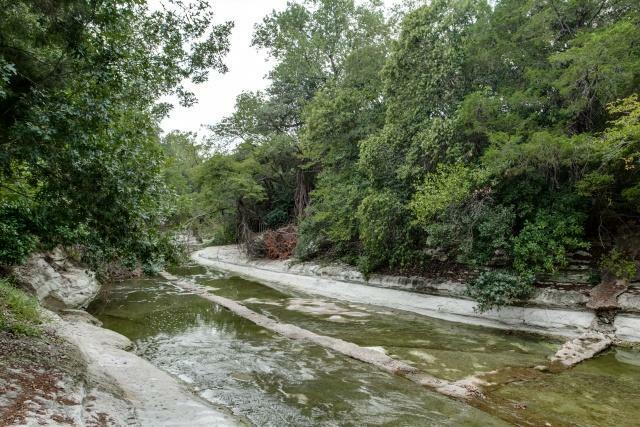 About ten or so of 17 parcels still remain in the 22-acre North Dallas nook, which is framed on three sides by a stone privacy wall, by a tree-lined rock bed creek on the fourth that NO ONE is crossing. 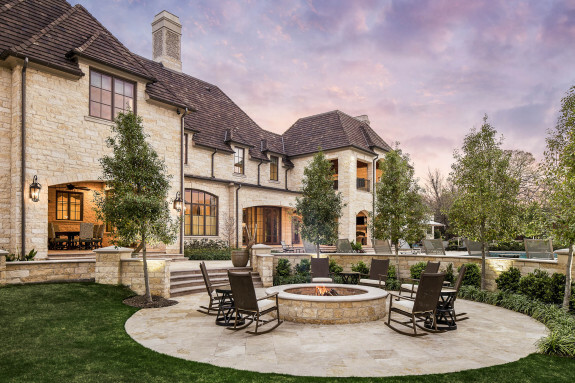 I think The Creeks is going to explode because it’s the last place in west Preston Hollow (or whatever you call it, the estate area) where you can get minimum one acre lots in a truly secluded, secure, private environment with a guard/concierge at the gatehouse. Allie Beth agent Ira Archer, who is marketing a lot over there, has told me he thinks The Creeks of Preston Hollow is the absolute last bit of acreage available in this part of town without mowing anything down! I will be posting a history of The Creeks of Preston Hollow shortly. Want to focus on this home, which is now the only completed property behind those secure gates available for sale. 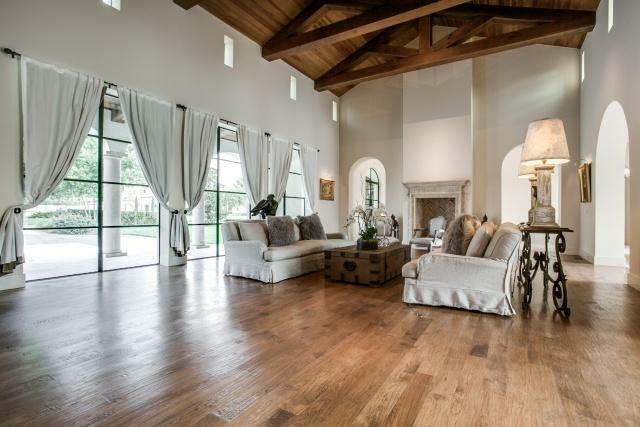 Located next door to Hunter Mahan on a lusciously large 1.18 acres, this home has been upgraded and improved by the current owner. I have to be honest, when I first heard that the owner, who happens to be the CEO and Chairman of the Board of Middleby Marshall, Inc., which owns Viking USA, improved the home, I thought, how could you improve it? Middleby bought the Greenwood, Mississippi-based stove and appliance company and vows to bring the anemic luxury appliance company back to double-digit growth. His vision includes Jetsons-esque appliances that will boil water in 15 seconds. a smart-phone stove app, perhaps an oven that doubles as a refrigerator. Really! I thought Vikings were already perfect? Very similar thing here with 10731 Bridge Hollow Court. For the Santa Barbara look, the original builder, Geoffrey Grant, went in with pillow-cut limestone everywhere, and I do mean everywhere: steps, even the lower level laundry room. Where there is no limestone there is wide-planked hardwoods. 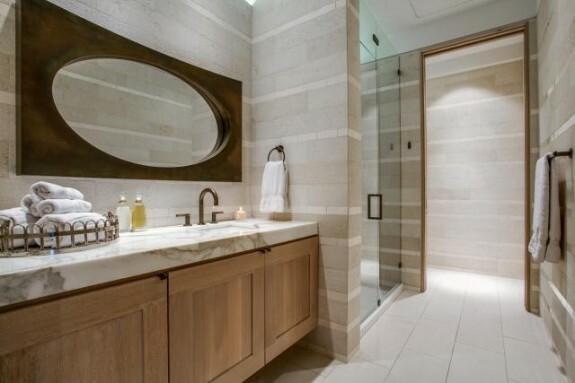 The current owner opened up the exterior walls, creating windows and natural light in several areas including the master bedroom vestibule and the master shower. The effect now is a Calistoga-ranch showering experience, as if you are bathing outdoors. In the kitchen, he moved the original refrigerator to a more utilitarian location and created a beautiful built-in. 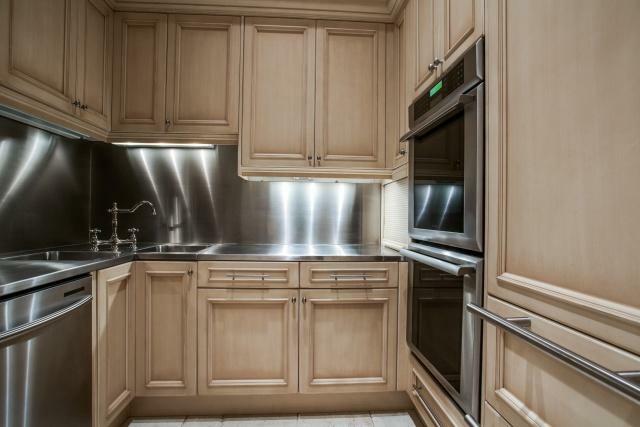 Of course that fridge hogs a wall, a double Sub-Zero with microwave and drawers in between the freezer and fridge. The caterer’s kitchen is loaded with the latest kitchen toys — ovens, dishwasher, warming drawers. To say there are ovens everywhere is an understatement. The kitchen has a Turbo Chef commercial oven that cooks a frozen turkey in 45 minutes, Wolf ovens (whoops, no Viking? 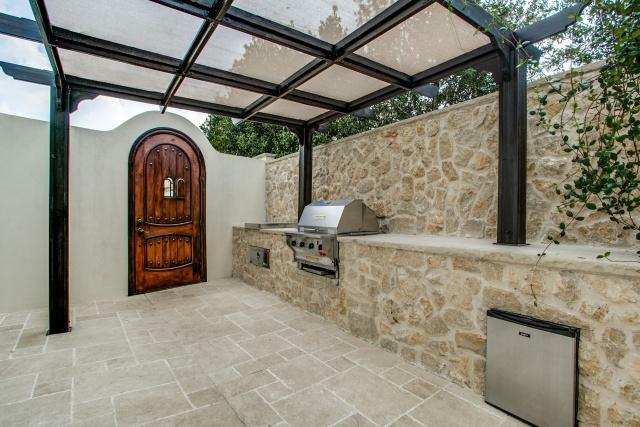 ), and then not one but two outdoor kitchens. The first is strategically located off the garage, with a entry into the caterer’s kitchen area. In other words, this is where the caterers will hang out and prepare everything so smoke and odors will be controlled, your guests can enjoy the backyard. There is a second outside kitchen with a brick pizza oven AND convection oven on the far end of the infinity pool, near the pool pavillion, overlooking the creek. This area has a fireplace and provides a great additional outdoor entertaining room that has cover. By the way, this is the Chicago-based Bassoul’s second home, and while they use it frequently for entertaining, it really looks brand-new. 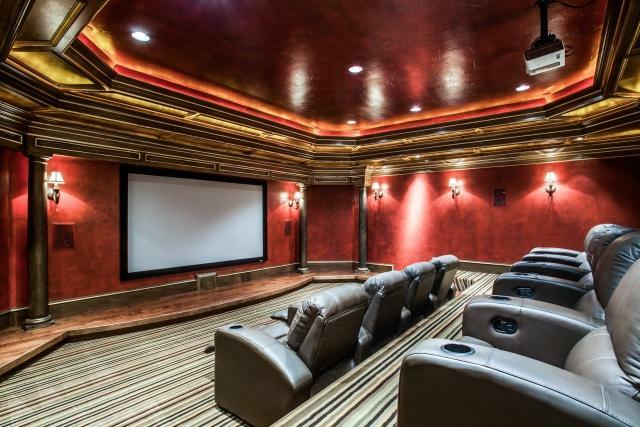 The home has 6 bedrooms, 8 full and two half baths, formals, family room, game room, study, media room on the lower level with the wine cellar, exercise room, steam shower and media room which is actually a theater. There are 12,842 square feet total. And not to worry about getting up or down — there is an elevator. The home has delectable design touches and details. For example, there is a large Butler’s pantry off the dining room (from whence you could serve drinks), a bar on the northern wing of the house, and gleaming near surgical grade stainless steel counters in the catering kitchen. 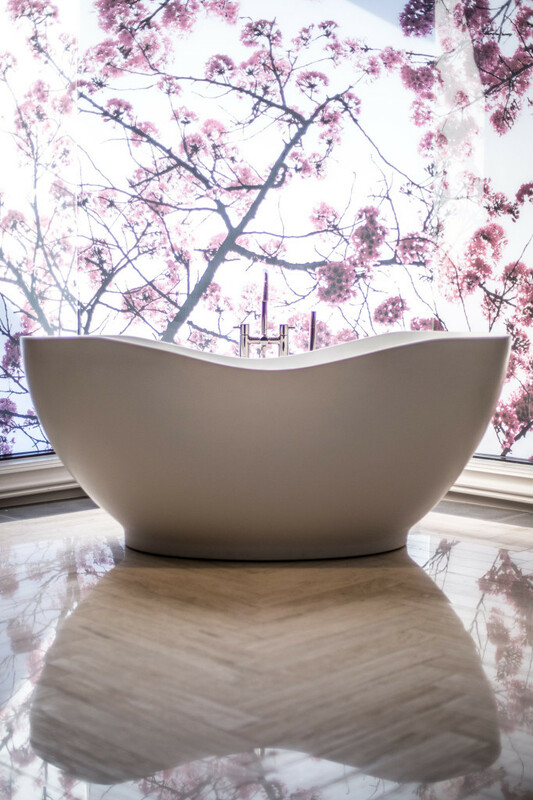 The split master bath is an environment with huge separate shower and the soaking jetted tub. 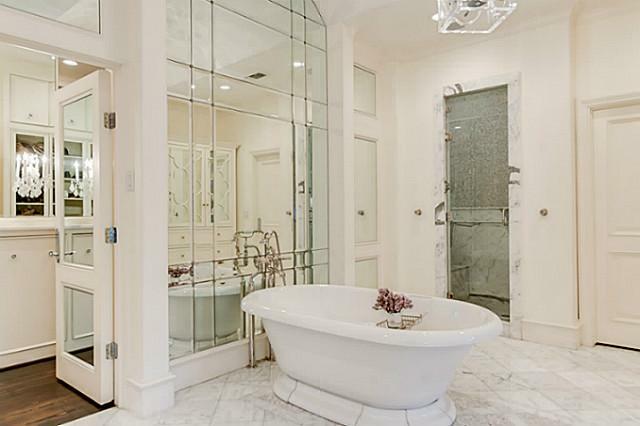 Her bathroom is so spacious, there is even a twin-bed-sized couch near the tub. 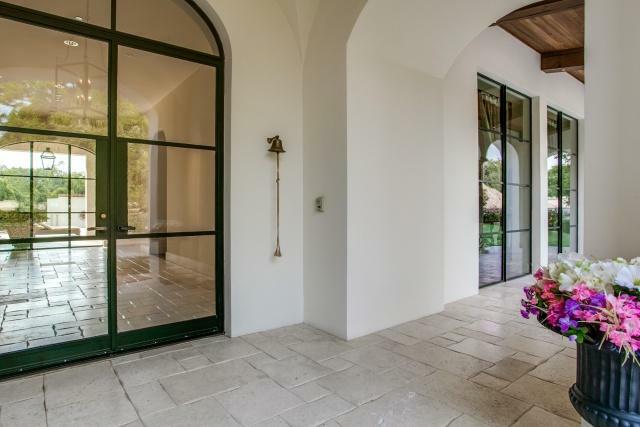 All the windows and glass doors are by Crittal, counters are rare Italian Stone. The home sold back in it’s more unfinished state for about five million dollars in June, 2010. 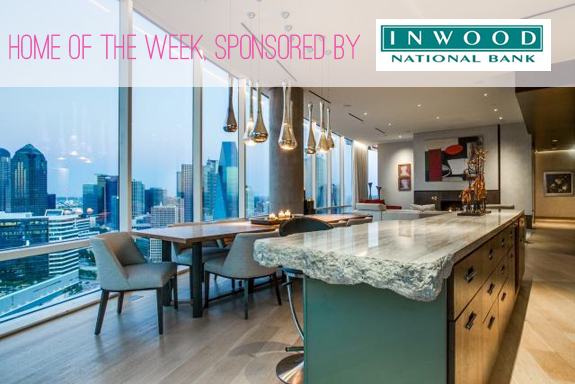 Now, with the Oven King at the helm, coupled with starchitect work by Stocker Hoesterey Montenegro Architects, and Neil Stewart Interiors for the interiors, the asking is $6,900,000. It’s listed with the darling, vivacious Terri Cox at Allie Beth Allman. Allie Beth herself will be helping the team market the rest of the available properties. And oh I do know Inwood Mortgage would be happy to exercise their construction loan prowess and speed on any of those lots, or a nice jumbo on this winner. No Wonder High-End Homes Are Moving Fast — According to the Wall Street Journal, Every New Oil Baron Wants One! Of course this Wall Street Journal article by Alyssa Abkowitz doesn’t tell you and me anything new. 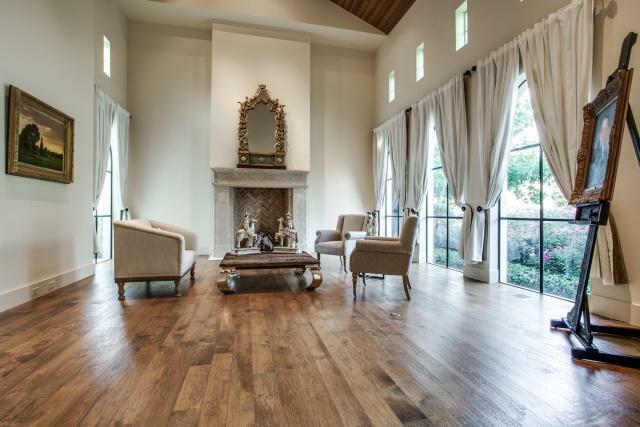 We’ve known for weeks — if not months — that high-end homes in Dallas are flying off the shelves faster than Realtors can list them. It’s driven the resurgence of the hip-pocket listing, too, as newly wealthy or recently transplanted millionaires move to Dallas. 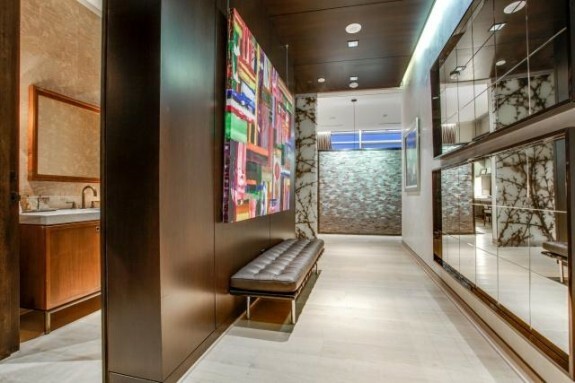 Abkowitz did a great job of quoting some of the big names in the luxury home scene, such as Platinum Series Homes builder Mark Molthan, Briggs Freeman Sotheby’s chief Robbie Briggs, and sought-after designer Barry Williams. 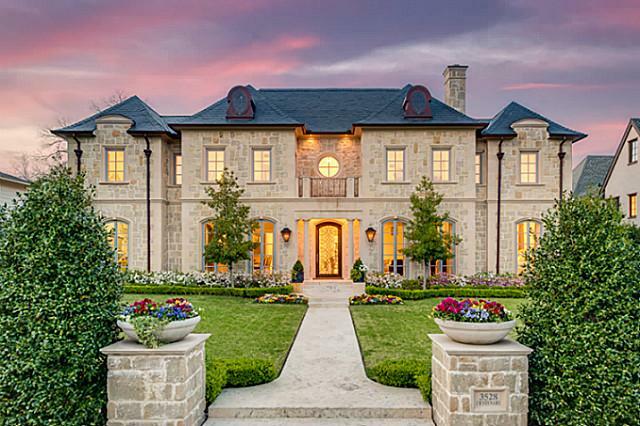 The Park Cities and Preston Hollow get name-dropped along with gated communities in Fort Worth. Of course, there’s a dissection of luxury homes and communities in other gas-rich areas such as San Antonio and Houston. It leads me to wonder, though, with so many municipalities on the fence when it comes to fracking, are we reaching the gas boom’s peak? 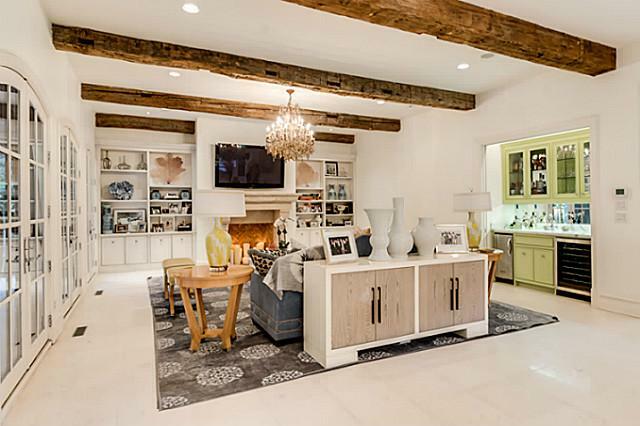 Brenden and Anne-Marie Morrow’s University Park Manse on the Market for $4.5 Million. Wowzers! 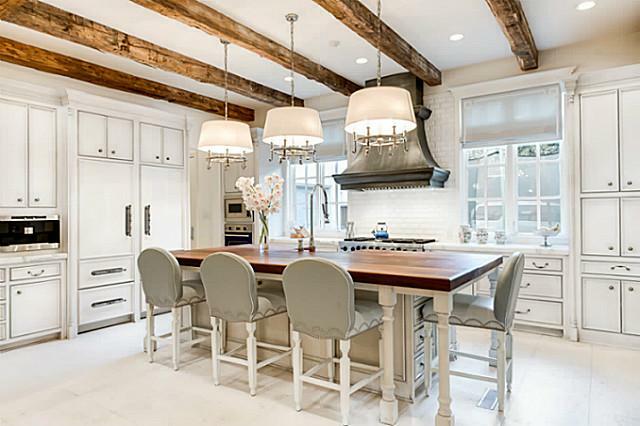 The home of Stars super-star Brenden Morrow and his wife, Anne-Marie, who just got traded to the Pittsburgh Penguins, at 3528 Centenary has hit the market. 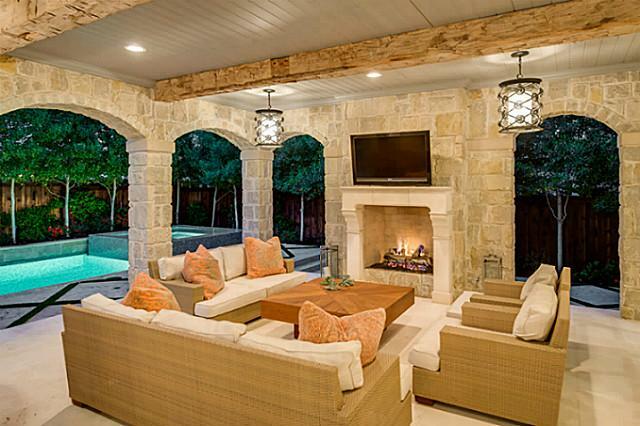 Built by Mark Molthan in 2007, this home is sure to set University Park comps a-twitter. You get more than 7,300 square feet of living space, on a huge almost three-quarter acre University Park lot. Those pups are rare, indeed. 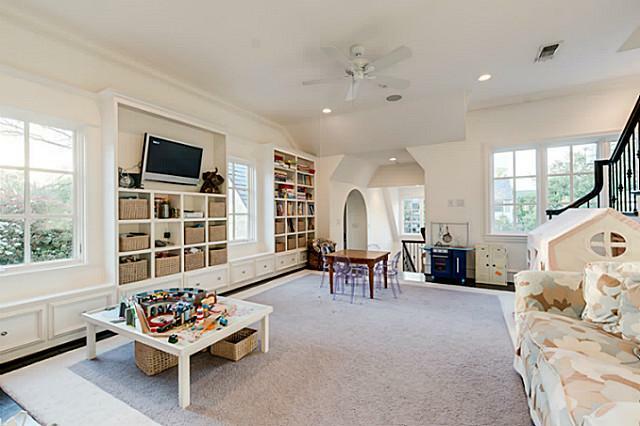 There are five humungous bedrooms, with five baths (en suite, of course) and two half baths. There are numerous living spaces, as one might expect, including formals, a media room, a putting green, a wine room, an exercise room, even an oversized attic for storage and an elevator to get you there. 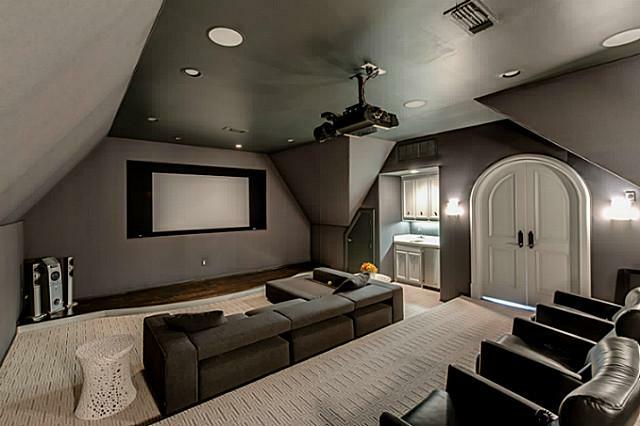 But it’s the interior design that just makes you drop your jaw. The kitchen is loaded with custom appliances, of course, but also finished out with soft white cabinets and subway tiles. Every single room is softly contemporary with added natural materials — stone, beams — for a rustic but elegant look. 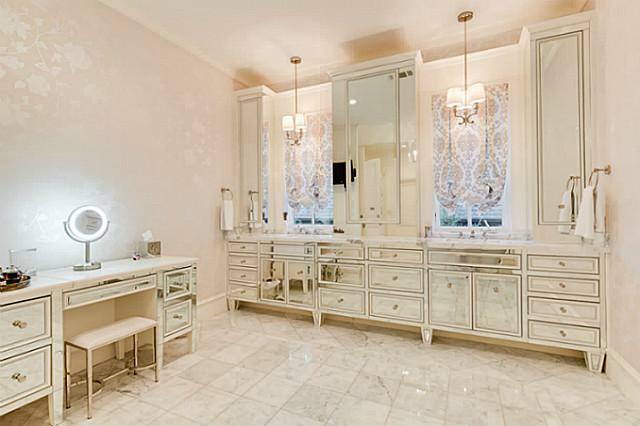 And the master bath, with those mirrored cabinets, is just downright glam! 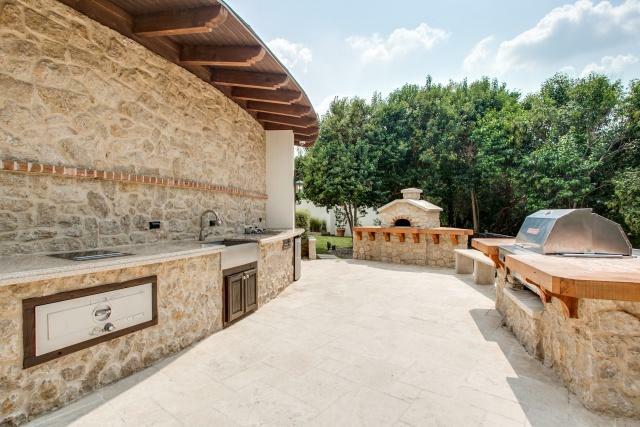 With a lot this size, you can have a stunning pool and outdoor environment room loaded with grilling necessities and fireplace. Sure warms you up in a cool North Texas April! 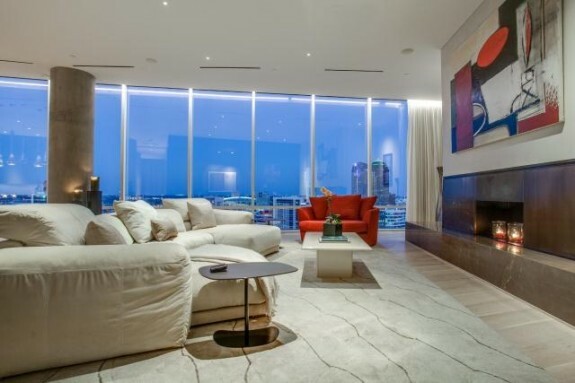 Here’s what might warm you up even more: the asking price of $4,495,000. Listed with Rogers Healy.